There were awards to individuals, groups and companies who received certificates. One man collected day after day in November. Some of those days were cold. 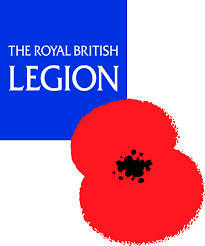 One company had been supporting the Rickmansworth British Legion branch with poppy collections for 40 years. Over £50,000 was raised by the Poppy Appeal 2014 in Rickmansworth & Watford. Suzanne Harding in her speech thanked the many groups and individuals who had supported the 2014 Poppy Appeal.